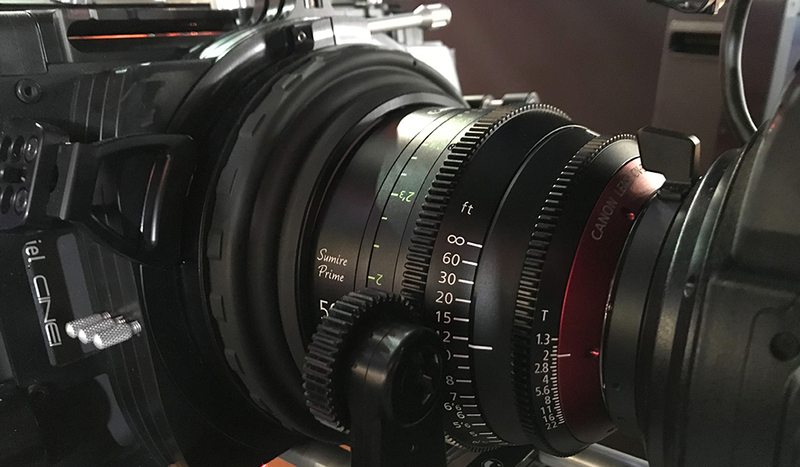 Over the past year, here at PremiumBeat we’ve been lucky enough to speak with some industry-leading creatives and filmmakers. At one point, these rock stars were right where you are now, whether that’s just starting out or creating your next feature. Whatever your filmmaking goals may be, these masters of the craft have given us some truly excellent advice. Here are some of our favorite quotes from our recent interviews. Probably one of the best working editors alive, Tom Cross broke down how he tackled the enormous task of cutting First Man. Our talk was long but full of gems for anybody thinking about editing a film. That clarity really made us edit the sequence differently than other scenes in the movie. Instead of it being cutty, messy, and rough, the richness of the image invited us to slow the pace down, allowing us to linger on shots so that you could really look at these tiny little details like the richness of the soil and the stitches in the gloves. This shift invites you to stay and hold onto shots longer. It also allowed us to double down on this subjective style that we had set up in other scenes, so it let us linger on these POV shots of the hands going to the ladder, so you really feel like you are in his spacesuit climbing down the ladder, and its you the audience taking the first step on the moon. So the IMAX led us to a different take and rhythm but Damien really wanted the moon sequence to feel like another world. 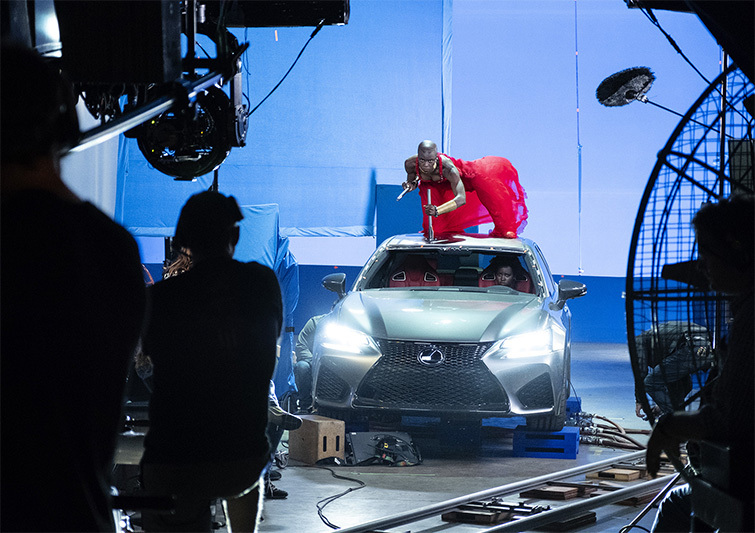 Marvel Studios’ BLACK PANTHER Filmmakers BTS on set of Black Panther (Ph: Matt Kennedy ©Marvel Studios 2018). Hannah Beachler is now an Oscar winner. Her work on Black Panther was one of the biggest reasons the film was so darn captivating. Wakanda looked and felt like a place rooted simultaneously in history and fantasy. When asked about the decision and freedom to incorporate vibrant colors in a Marvel film — due in part to the success of Guardians and Thor: Ragnarok — Beachler had the following to say. So the textiles are colorful, the buildings are colorful, everything is colorful. So I knew that was gonna be a part of it. Then looking at the [Jack] Kirby stuff, there was a lot of color in this Thor work, and even in the Black Panther comics at the time. We were gonna put all of that out there, you know, bring in the rich architecture. A lot of the architecture has designs, shapes, and colors that all have meaning. Senegalese buildings that have big, bold pinks, purples, and greens — and others with stripes that come down the columns. The Oscar-nominated editor behind I, Tonya dove into why and how an editor must look at their own work — and the importance of knowing when to take others’ opinions. Don’t get hung up on one note. For every ten notes that I get, I may disagree with nine of them, one of them is going to be something I never thought of it. You have to push through the other nine to get to that one that opens the door. Stay open and flexible, and embrace other’s opinions. In the end, you’re not making a movie only for yourself; you’re making it for an audience. Otherwise, you can do that, but you won’t get very far if nobody wants to see it. So Practice, and be open to notes and opinions. Image via Green Book (Universal). Right before Oscar-nominations were announced, Patrick J. Don Vito detailed what it was like bringing the now Best Picture-winning film to life. He talked in-depth about learning how to let the audience breathe and knowing when to let the scene play out. There’s a scene when Doc Shirley kind of browbeats Lip when he’s playing craps outside the concert, and he says “They have to stay outside. You didn’t wipe your knees off. They have dirt on them,” and then you go into this kind of map sequence, where you crane up and see them driving off, and then they arrive at a hotel, and Tony starts writing a funny letter. That sequence in the middle didn’t exist. It cut right to the moment when he’s writing the letter. There was something about that that always bugged me. It seemed too abrupt. 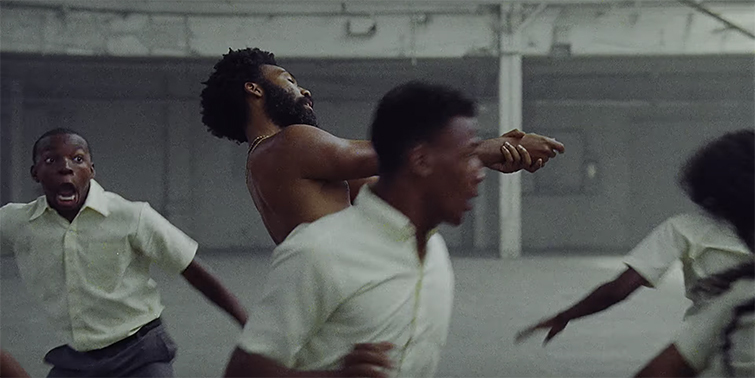 We created that moment in between where you get a chance to breathe and sit with your feelings about what just happened before you have the joke. And what ends up happening is the joke actually hits harder. When it’s put up against the other scene, people are still recovering from him being chastised. So it’s about figuring out the balance of the whole thing. Figuring out when to have a joke to relieve the tension, and when to not. Letting people stew a little bit. Let them feel it. We spoke with the editor of Popstar: Never Stop Never Stopping. Need I say more? 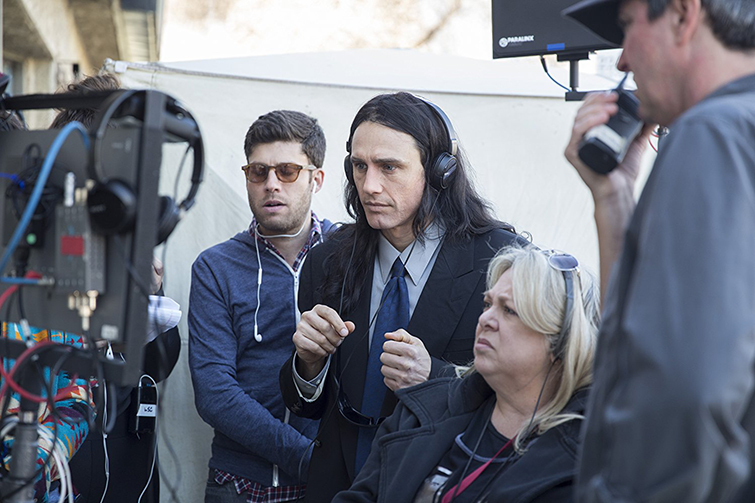 The Disaster Artist was easily one of the most complicated films to make in recent memory, but somehow the team pulled it off — and then some. Stacey is slowly becoming one of the most sought-after editors in the business and The Disaster Artist is a testament to her talent for blending genres and managing expert pacing. 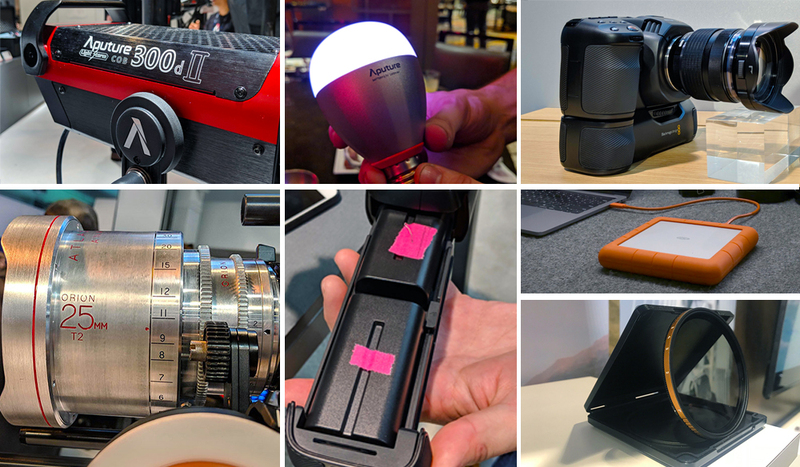 Initially, I thought I could do a tracker document and try to rate each take with good or bad moment markers, making a count, and then mathematically choosing which to use. But I’ve found that the best way to handle it is to watch all the takes and go with your gut. Generally speaking, there’s one take that feels just right. That being said, sometimes there’s a second or a third that could work, and then there are a few that just won’t. Hiro is incredibly supportive and collaborative as a director. He wants to hear your opinion and get that different perspective. This motivates me to dig in and find the takes that really speak to me. Once I had my selects, I kicked out a rough cut for Hiro’s review, and then we sat down to look over alternative takes and my second and third choices per section. 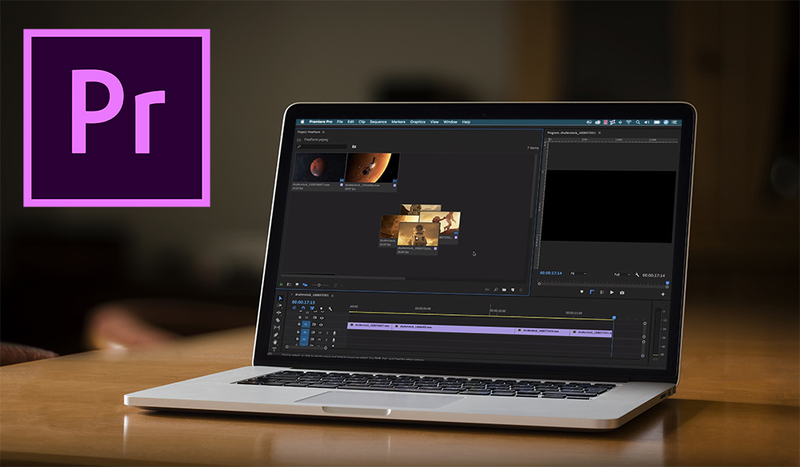 I cut in the latest version of Adobe Premiere Pro CC. I find it to be incredibly fluid for my music video work. I use Premiere’s multi-cams to keep track of different takes and stay on top of all the options throughout the edit. I prep everything in a way that I have access to options quickly, so my directors can see alts for any section at any time. I also knew our VFX artist would be working primarily in After Effects CC, and being able to prep projects for him straight out of Premiere with the truncated schedule would ensure accuracy in the VFX handoff and keep things moving quickly. One of the finest directed movies in recent memory, I Smile Back is a tragic and narrative masterpiece. We sat down with Adam to talk about his approach to editing, shooting indie projects with little time, and working with actors. Most independent films have zero rehearsal because there usually isn’t money to pay the actors to commit the time. Or, the actors are so busy working that they literally only show up the day before the shoot, and/or the film doesn’t have the time or money to make room for it in a very quick prep. TV has even less time because you don’t even meet the actors until you show up on set on the first day! On I Smile Back I was lucky to be in touch with Sarah from the moment I became involved. We met in person and spoke many times over the phone about the character, different scenes, story moments. Then as we got closer to production, we did have two extremely helpful, multi-hour rehearsal sessions where we read through the script with the whole cast and worked on a particularly tough scene the night before we shot it. I love rehearsal. I say use as much as you can get. I would say in the beginning I was very surprised what images the studio would pick. Now, I’m not surprised at all. I’d say 75 percent of what they choose is not an image I would pick first. I feel like so many great images never get to see the light of day. In the end, it is the filmmakers’ and studios’ final say what is released and how it is used. They have their idea of what represents the film, and so do I. The trick is giving them great material to choose from, and as long as they are happy, that is really all that matters in the end. Sometimes we are on the same page about images, and that is always a satisfying outcome. 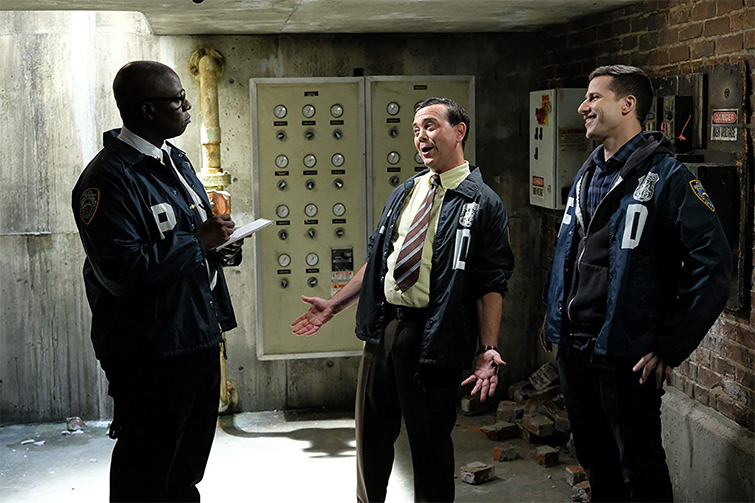 Starting out as an assistant to Alexandre Desplat, Javier Navarette now scores Brooklyn Nine-Nine. This creative genius creates the iconic score with the images right before his eyes. We spoke with him about taking those first steps and how he finds inspiration. What’s great about writing music to picture is that I almost never have a blank page. I almost always have picture to draw inspiration from. I really started writing music by writing to picture, so for me it really is much easier to have the guidelines of where the music needs to stop and start, what it needs to help, and what lines to stay out of the way of, etc. I’m sure for musicians that started by just writing songs it’s a little harder to have all of those boxes to check while you’re just trying to write a cool piece of music, but for me it’s an essential part of the creative process. Image via Off the Tracks. 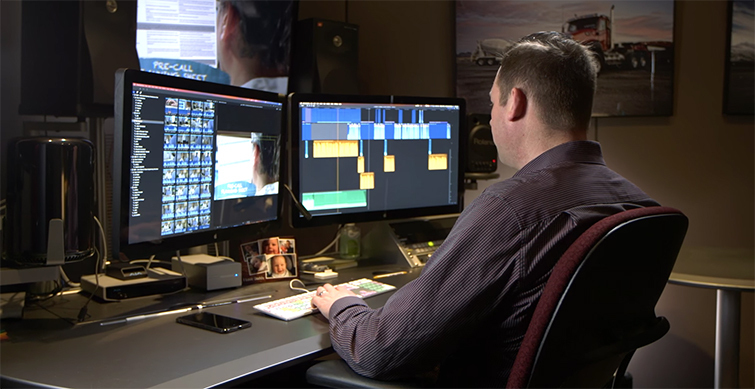 Bradley Olsen‘s seemingly niche documentary about Final Cut Pro’s transition to the fateful Final Cut Pro X is much more intricate and accessible than its subject matter suggests. Olsen hopes that a documentary like this might one day help change some minds and open possibilities for future editors. 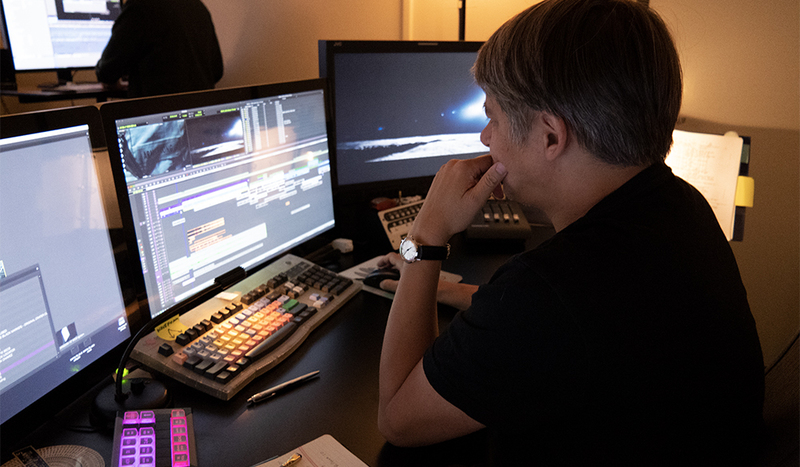 As Apple puts more attention into professional workflow features, such as built-in collaboration, that will enable industry movers and shakers like Michael Cioni and Sam Mestman to push Final Cut Pro X in Hollywood without any more excuses. But behavioral changes are very hard in an industry that’s very much set in its ways. I hope my documentary can be a tool to open some eyes and allow Final Cut to gain more acceptance because post-production in Hollywood is largely stuck in the past, and there is a desperate need for them to change. The rest of the world is quickly embracing new ways of doing things, and I am very interested to see how that shapes the kinds of projects we see in the future. 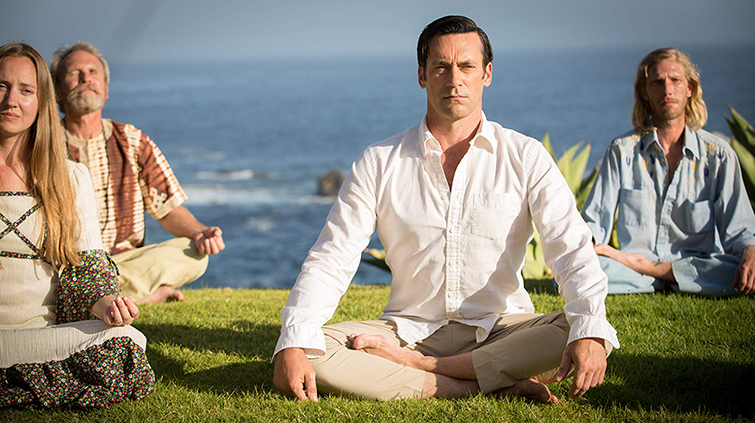 Image via Mad Men (Lionsgate Television). Having worked with Robert Altman and contributed to one of the best shows ever created, Mad Men, Patricia Resnick is a powerhouse writer that has had some truly inspiring and unbelievable experiences. We were lucky enough to speak with her about how the pitch process works for screenplays these days. Be sure to check out the rest of the interview for some of her awesome stories, like dancing with the First Lady. In the ’80s I once sold a very brief pitch. Gave him two lines and sold it on the phone. That doesn’t happen anymore. So now, they want things unbelievably worked out, and as far as TV, they really want all the characters, the first season, where you plan to end up. Visual aids. Look books — to people actually doing trailers for things that have not been shot. Big boards and Power Points — you really have to have things nailed down and worked out. Image via A Ghost Story (via Bret Curry). 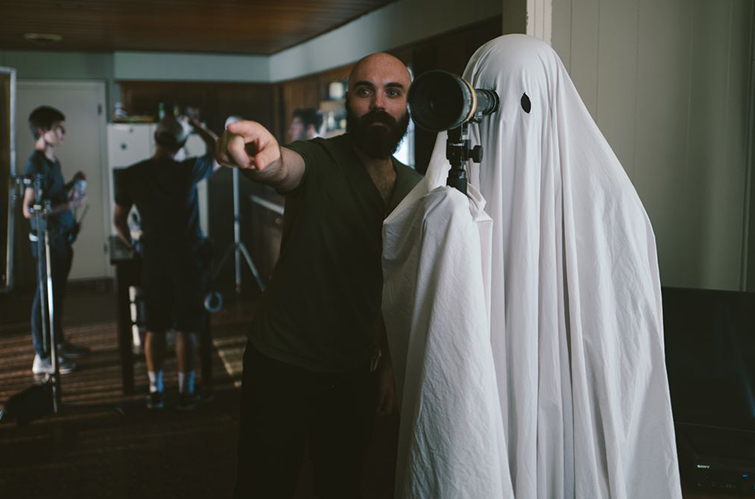 One of the fastest rising producers in Hollywood and on the Indie film circuit, Toby Halbrooks is one of the most hard-working filmmakers around. Having worked on both micro-budget short films and Disney blockbusters, Halbrooks gave us his take on why keeping your cool and trusting your team is key to being a successful producer. Eventually you learn to trust your teams and stay out of the way. If they need you, you’re there to support the department heads, so you want them to stay on track, but you don’t want to meddle too much. 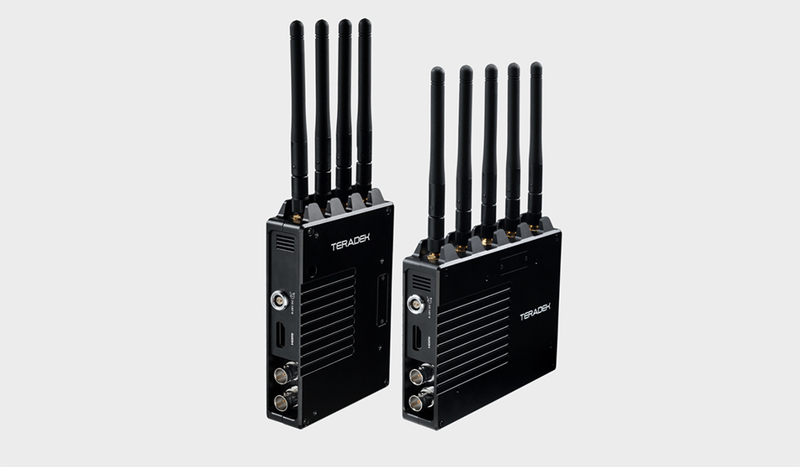 The trick is to have an eye on all aspects of the project to make sure it’s running smoothly. Once the machine is built to go, you let it run. Looking for more video production insight? Check these out.